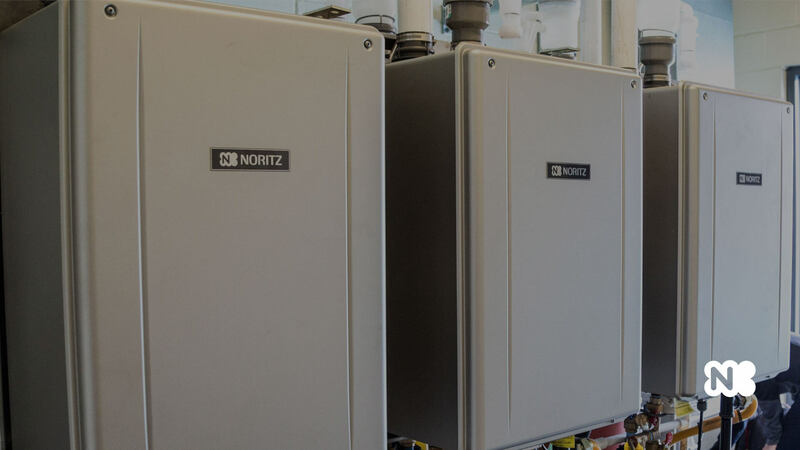 The Noritz Commercial line is the most precise and efficient method of heating water for any commercial project. Check out and see for yourself why a Noritz Commercial unit is the overall better choice. In a multi-system setup, the Noritz commercial units will communicate with one another and work in unison to even out the load on each individual unit, maximizing output and system life. The Noritz modular system is based on a single self-contained ,interchangeable unit that can combine and communicate with like units to meet any hot water demand. Noritz units can be linked together for outputs up to 9.1 million Btuh and 316 gallons per minute.